Camilla Kruger is the first Zimbabwean to represent her country at the Olympics. As well as the determination and sheer hard work that’s needed to get this far, we wanted to ask Camilla about some of the more unique challenges of trying to reach the Olympics as a citizen of a country that doesn’t typically perform at international levels. Tell us about your riding journey? What got you hooked on riding? I started riding when I was very young on our family farm in Zimbabwe on mostly ex-race horses. Zambezi King probably taught me the most, especially patience! However I am still learning so much with my top horse Biarritz. Being outdoors and working with such incredibly gifted creatures that have such genuine hearts got me hooked mainly and the shear excitement of going cross country. 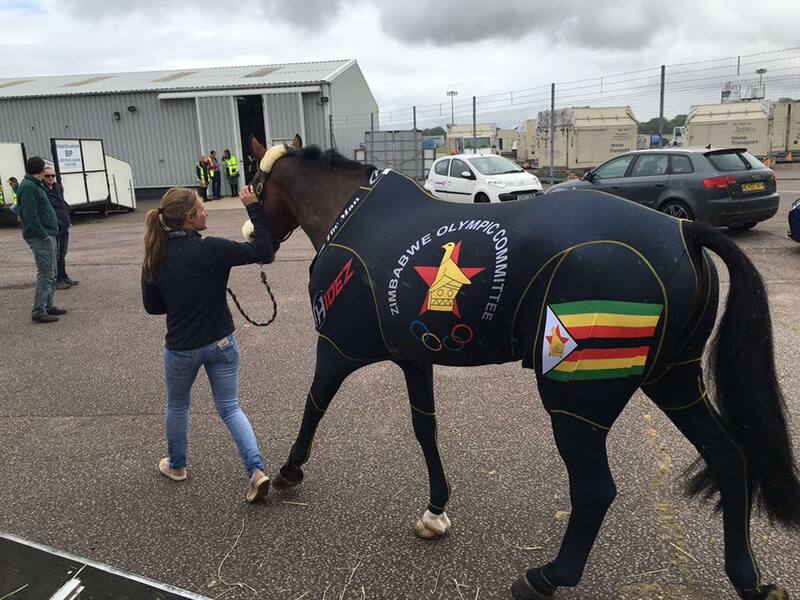 What does it mean to you to be the first ever Zimbabwean competing at the Olympics in Equestrian sports? Do you still “feel” Zimbabwean since moving to the UK? I still very much feel Zimbabwean! I have kept the whole Zimbabwean way of life and Africa stays in your blood! I feel very overwhelmed to have achieved a lifelong dream of going to the Olympics, and feel very proud and honoured for my country to be the first ever equestrian athlete. I hope it now inspires many more to pursue equestrian sports. So other than the sun and crème soda, what did you have to give up or sacrifice to pursue this dream? A lot! Mostly time and money! I have been blinkered the whole way to make this dream possible, always putting the horses first. This is hard to do and is a real sacrifice for most equestrians. I feel you should always have a balance in life with your career/ambition as one side, as well as a life outside of it all. Doing that while trying to qualify for the Olympics is near impossible, but worth it. I have been very fortunate to have such a supportive family and friends who have always believed in me and supported me through all the highs and lows along the way. Who is your horse riding idol? Do you have any advice for riders living in Zim and other African countries on how to achieve their goals? You will know some of the difficulties that come with riding in these countries. Do you think it’s possible for to reach your level without moving overseas? Yes, the most important thing is to keep the belief and work very very hard at it. Never be reluctant to seek advice from others, be they trainers or riders. Unfortunately, no, I don't think it's possible to reach high levels of Eventing at the moment while being based in Southern Africa. It’s a huge shame for the riders based there as moving overseas is a huge leap both financially and emotionally. Europe, but especially the UK, is really the place to be - that's why there are so many other nations based here! What are your main goals for Rio? My goals are to achieve a personal best in the dressage and put in consistent good jumping phases. Ideally, I’d like to finish in the top 15. Another goal is to learn a lot about myself and my horse. I want the experience to give me knowledge that I can take forward for the next big world competitions in the future. Sounds like you’re aiming at another Olympics soon then! What do you think are the most important attributes for aspiring riders with big ambitions? Of course I am. For me, the most important attributes are patience and the ability to be open-minded with advice. Riders also need to learn to use any lows in a positive way to build up from.